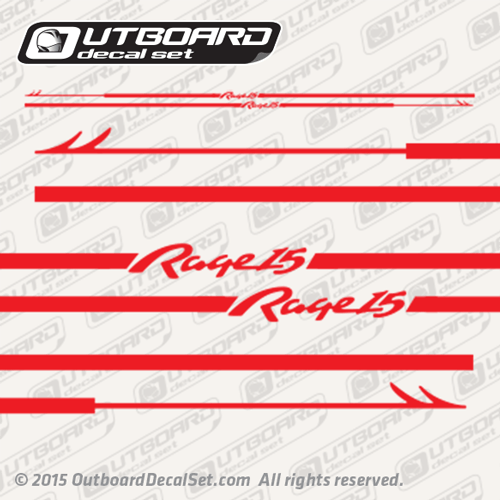 Rage 15 Harpoon Stripes available on 3 different colors, Red, Black and Navy Blue, this decals are made on one solid color one single stripe. overall size is 100 inches long aprox. we show a close up of 3 sections of the decals, so you see the harpoon decal pointing opposite sides.